Many landlords are looking for ways to receive a higher return from their rental, but often they don't do the most basic things that help them do just that. Rentals are full of water guzzling toilets which are most likely over ten years old and still consuming a substantial amount of water. Even if the tenant pays the utilities, it still comes down to the landlord performing repairs and the tenants ultimately moving because utility bills are too high. Toilets, though a pariah to talk about, can be a great place to find easy savings and help tenants keep costs down. Toilets in the U.S. were once designed to hold seven gallons of water. They were basically a holding tank for clean water. Slowly they moved to five gallons, and then three gallons, and now the most common new toilet will hold only 1.28 gallons of water. 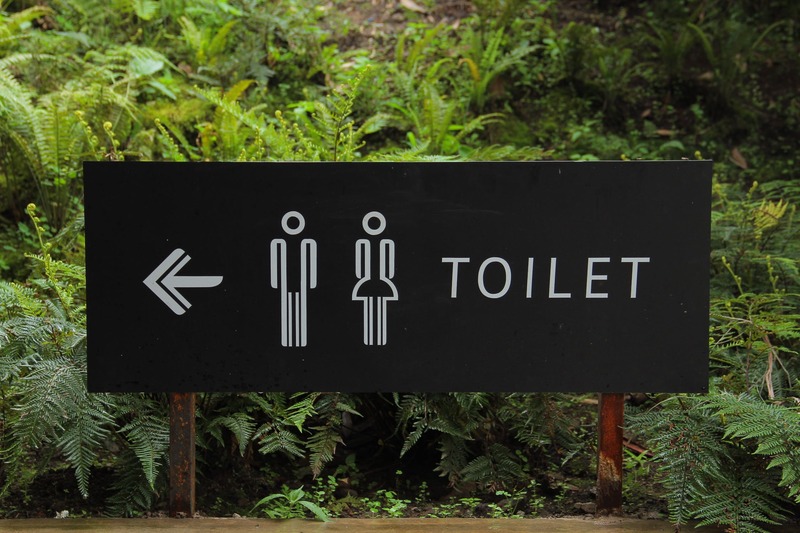 In most other countries, toilets have a dual flush so a person can pick if they want a full flush or a half flush in an effort to save water. In the U.S. we tend to avoid the topic at all costs. Though the toilet looks big and heavy and is probably the most avoided place in a rental, it really is rather simple to work on. There aren't too many parts, and you know right away if you've done the job right - because it leaks if you didn't. At the floor you have a wax ring the toilet sits on, which helps seal the toilet down and is then bolted to the floor. The toilet (some are single piece, but rare) comes in the lower portion which you sit on, and the upper part that holds the water. The water will enter the tank through a hose from the wall to the tank, and it is only hand tightened. Inside the tank is a toilet fill valve which is installed with only your hands and no wrenches or anything else. In addition, inside the toilet is a rubber toilet flapper that stops water from draining constantly. The most common issue with toilets is the continuous leak from a flapper or faulty valve. Flappers often shrink over time as the plastic starts to corrode. Valves, too, will leak due to a small rubber washer in the valve itself accumulating calcium buildup that ends up in the valve. Because the valve controls the amount of water and is relatively cheap, it is best to just replace it. A very small leak can waste about 200 gallons a day, which is 2,000 gallons a month. Because the toilet is connected directly to the sewer, you wouldn't even know until you got the bill. Low average across the U.S. on 2,000 gallons is $70/month. In some places like Texas and California, it could be as high as $150/month. To buy a valve and flapper kit which will come with all the parts you need is about $9 in most plumbing stores. And to install that part will take an untrained person about ten minutes. Yes, it's true. Such a small, cheap, easy issue can cost landlords and tenants all over the country a lot of money. Fixing a leaky toilet is a quick and easy process that anyone can do. The only tools you need to bring with you are your hands and a towel. By turning the water off at the valve stop near the wall by the toilet, you'll most likely hear a noise as the water stops. Test to make sure the water is off by flushing the toilet. If the toilet is still filling with water, then you know you were unsuccessful at shutting the water off and need to turn the valve stop more to completely stop the water. Now flush the toilet until all the water is flushed. All that will remain is some water at the very bottom that you can catch with a towel. If you've done it right, there will be a quiet moment when all the water is flushed and the toilet is doing nothing. Next, take a look at the hose that goes from the wall to the toilet. At the connection to the toilet, you should be able to twist the hose off with your hands. It’s made with a hand knob, so no need for tools. Before unscrewing it, you'll want to place the towel underneath to catch the remaining water in the tank. As you unscrew the hose and the water pours out, you can move the hose to the side. Then you’ll see a plastic part that the hose was attached to and the screw that holds it in place. Go ahead and unscrew it as well. That plastic part is the valve and is now loose. Once you unscrew it all the way, it can be taken out of the toilet completely and thrown away. The new valve goes back in the hole. In the box the valve came in, you'll find a rubber washer that goes around it. Once the valve is back in the toilet hole, from outside the toilet place the rubber washer on and screw it back together using only your hands. Then connect the hose as it was and again only use your hands to tighten. The flapper can then be replaced by pulling the old one out and installing the new one. Connect the chain back to the flapper, and you are done. I'll agree it isn't where I would want to spend my Saturday night, but it can make for a fun event if you have kids to come along, since they love to see how things work.